Before Sean and I decided to get married, we experienced a bit of tension over money – I’m sure a few of you can relate 😉 We were past being on our best behaviour and starting to think this was the person we were going to marry. For me, being on the same page about finances was really important. So much so, that it would be a deal breaker if we couldn’t figure it out. Aside from being able to save, I wanted a partner who had similar financial goals. I didn’t want to be a couple that was always fighting over money or struggling with debt. Therefore, when issues around splitting costs started coming up, I knew we had to sort it out or it was time to move on. Fortunately, Sean was open to reading through the book and completing the exercises together. As it turned out, it was also important to Sean to be on the same page about money as his partner. As willing as we were, it was still difficult at first. It felt inappropriate to be sharing our financial details with each other. I was raised in a home that did not talk about money outside of the immediate family. In comparison, Sean grew up in a family that didn’t talk openly about money unless there was a disagreement. Not surprisingly, many people have a hard time talking about money or have a negative association with the subject. We realized we had to be open about finances if we were going to move forward in our relationship and this, in part, made us realize the level of commitment we were at. This book guided us through conversations about money we didn’t even know we needed to have. It also helped us clarify what our financial goals were for the future. Truth be told, the exercises in this book were what helped us seriously consider purchasing a home. This book had such a positive impact on our relationship that we often give it as an engagement gift. The feedback we get from friends is similar to our experience: it helped start the conversation about money. If you do the work, we are confident that this book will help you too! Even if you have been in a relationship for awhile, this book is still worth working through together. We highly recommend going through this book together. Especially if you’re noticing the same money argument coming up or you’ve never really talked about finances together. We have even re-visited some of the exercises to re-assess wour situation and remind ourselves of our different money styles. 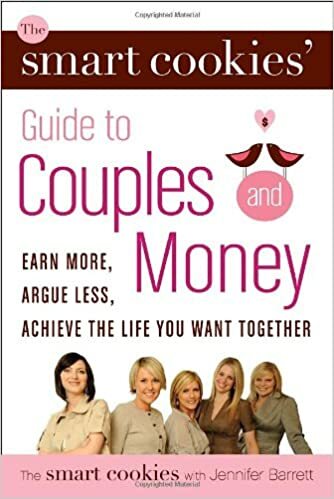 Although we were both a bit nervous to start reading this book together, it was a huge relief to be honest and share where we were at with our finances. For a few weeks, it was our Saturday morning routine to have coffee in bed, read a chapter and complete the exercises. We know a lot of people shy away from financial books because they can be boring and hard to understand. We can reassure you that this book is interesting, engaging and worth taking the time to go through together. It was a huge help for us and we honestly don’t fight about money. Did you grow up in a household that openly talked about money? Let us know in the comments. Thank you for the recommendation! We will go and read the book.